When my Porsche 944 decides to pull Feats of Bosch and our communications system's parts go missing or fall apart, that usually means a trip to one store: Radio Shack. Count me in with the so-called geeks and nerds who are deeply saddened by its demise. How are we supposed to kludge together last-minute fixes now? Sure, places like Auto Zone have a decent selection of electrical pieces nowadays, and for that, I don't feel completely hosed. While my soldering iron and much of my spare wiring were Radio Shack purchases, the intermittent switch itself came from the equally common aftermarket wonderland of Auto Zone. That being said, the Auto Zones and O'Reilly's of the world are geared heavily towards the general consumer as opposed to hobbyists. If you're trying to make bits from two different proprietary radio systems play nice with each other, most neighborhood automotive stores won't help you very much. You're more likely to find sweet rhinestone dice valve stem caps and all manner of stick-on bling than you are any kind of race car communications help. For those of you reading all of this and going "Why don't you just order all of this online?" - you're missing the point. Radio Shack's existence is validated by the unexpected fix, not the things that we're able to predict beforehand. Sure, there are items like our push-to-talk button that I've since discovered that I need to keep in spares, but that revelation happened after a replacement button didn't come in until day two of an endurance race. Still, ordering online takes time that I don't have on a race weekend, even for things I catch during a Friday practice session. Break something on Saturday? Anything ordered then won't show up until the Monday after it's all over. 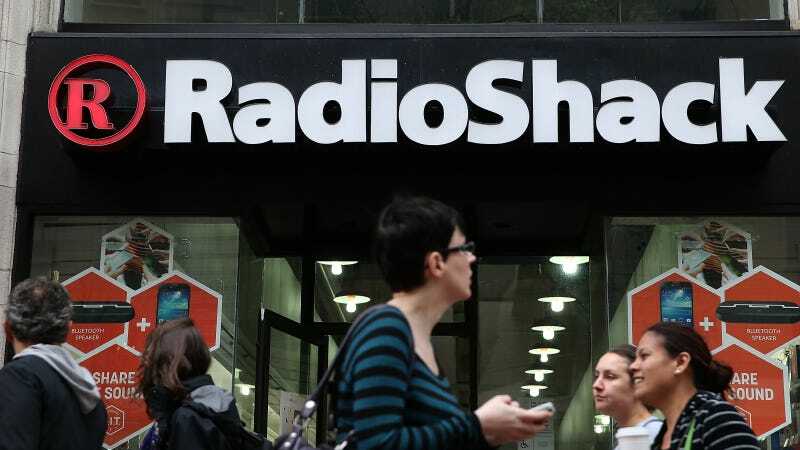 No, the Internet won't really replace Radio Shack. Last minute fixes prove that there will always be a need for brick-and-mortar outlets, available and open nearby. With most of Radio Shack's outlets going to Sprint or Amazon, I'm afraid my last minute oh-crap fixes simply won't get done. Most small towns like Angleton or Decatur don't seem to have the need for a mom-and-pop radio/tech store, either, so it's a retail hole that's unlikely to be filled. We've been spoiled for so long that Radio Shack has lumped geeky fodder for race car fixes in with consumer gadgets and phones that sort of kept the stores viable, but it sounds like all of the really nerdy stuff is going to be quickly pushed aside for a bigger cellular display.